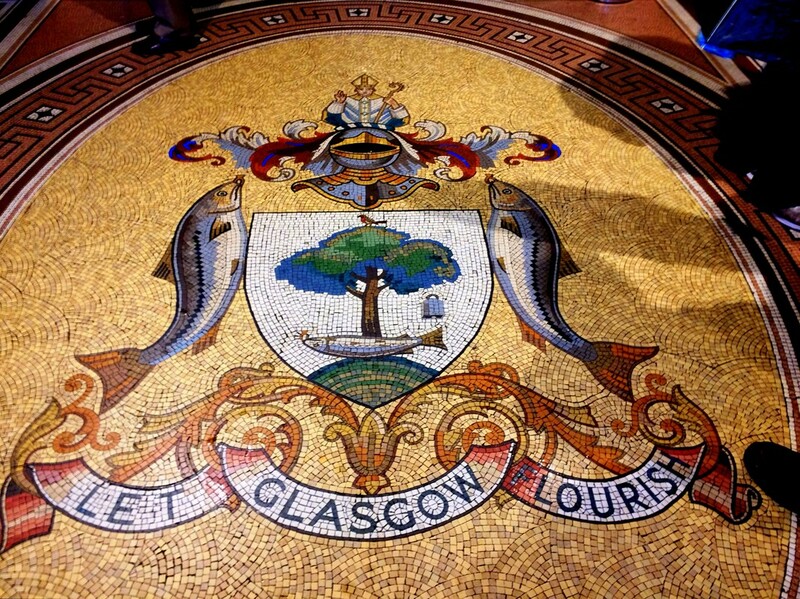 ​I heard the name Glasgow quite often during my travels. Basically because every Scot I ever met comes from Glasgow… makes sense, it’s the biggest city in Scotland and the second biggest in the UK. However, quantity and quality are two very different concepts. It might be because I just came from the beauty that’s called Edinburgh, it might be because Glasgow isn’t just that charming to begin with. Whatever explanation you prefer, I wasn’t that thrilled when I looked around me after my arrival. On top of that, no one would let me store my bag (and I’m NOT gonna pay the £7 for a station-locker, that’s 3x lunch thank you very much). In basically every other part of the world I just put on my loveliest smile, swing around my hair a bit and ask in any random bar if they might put my backpack in the storage for the next few hours. The Scots aren’t that easily charmed. However hard they praise themselves for their openness and friendliness (they even wrote it as a Scottish trait on the wall of the Tennent beer brewery), I wonder if they ever verified that with a foreigner. Sure, if you get them one on one, after you approached them you can squeeze a smile and laughter out of them, but in public life people rather just mind their own business, strictly holding on to any rules given to them from above… be it Protestantism, Catholicism or a ‘boss’ saying you can’t put a backpack behind the counter or even in a wardrobe, although there’s tons of space. I don’t have a boss though, nor will I ever accept authority, so I just dumped it in the middle of the Gallery of Modern Art when no one looked. I’ll come remove it when I notice a bomb squad surrounding it. 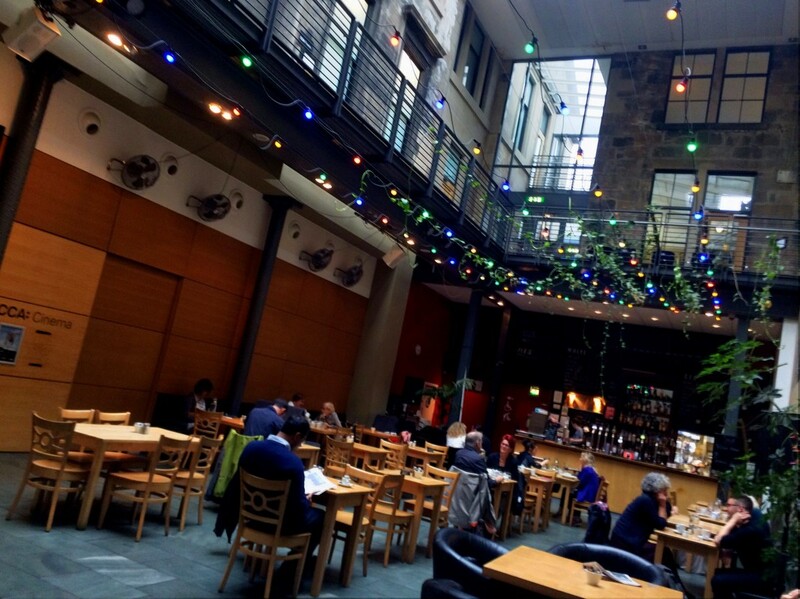 This art gallery is, like most of the prominent Scottish museums, entirely free of entrance. This one wasn’t too exciting to start with… I kind of felt that this must have looked progressive in the ‘80ies. But well, no money lost. 1) He restored the life of a robin bird by simply praying for it to breathe again (maybe it wasn’t dead then to begin with, just tossing up a suggestion). 4) Queen Longuoreth had given her husband’s ring to the soldier she had an affair with, which made the king invite that soldier for a hunting trip during which he stole back the ring and tossed it into the river Clyde… he then denounced the queen and threw her in prison, as she couldn’t present the ring when asked to do so. When in prison she asked good old Mungo to forgive her, so he fished the salmon that swallowed her ring out of the river and she became queen again: Yeah! Adultery, any saint’s duty! From there I moved on to CCA, the Centre of Contemporary Art, which was basically the place where all the hipsters were hiding. I’m sure that theatre agenda must have some good stuff in it and probably I could get used to that experimental coffee they were serving, but I felt the strong annoyance of having ended up in one big phoney-show. If you try to be so damn different, why all in the exact same way? 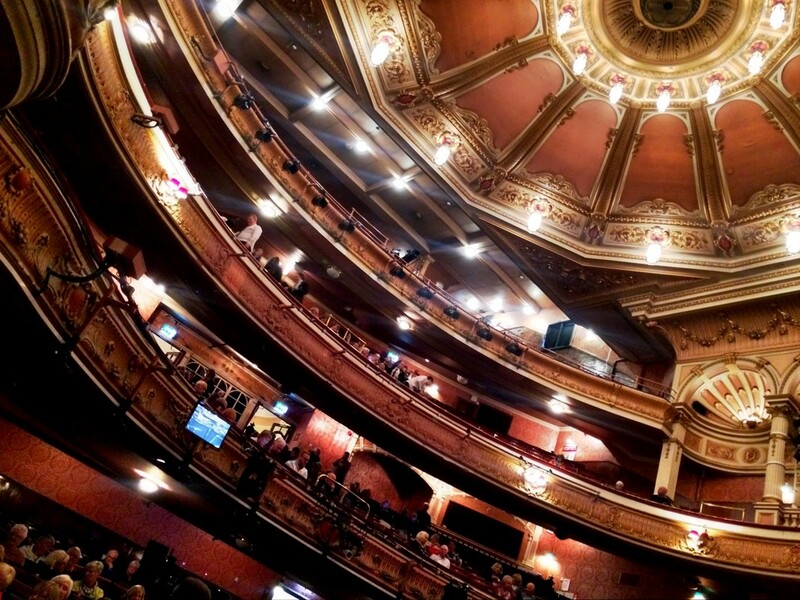 A place that you can feel stayed very original and true to itself is the King’s Theatre, a venue that simply breathes history. The funny thing is that I was in touch rather often with this theatre during my years working as an entertainment tour coordinator (yeah, I led many lives), but now all these words exchanged over shallow telephone calls got colored in by visual observations. I even got a cute teenage girl in a kilt so far as giving me a private tour, after her eye caught the many flags on my backpack. While the rain intensified every milisecond I walked all the way back to the Strathclyde University to meet Philip, my host for the next few days. Philip The Patriot. Honestly, you’d be closer to the truth to put this guy instead of Mel Gibson on that film poster. Not only is his favorite conversation topic ‘the UK and the colonies’, he also has his entire house full of all flags of every piece of land once conquered by the English, plus a colonial overview of the British Empire as his screensaver, in case you might forget. Keep in mind to never show confusion with pounds (instead of euros), the metric system or traffic driving on the other side of the road, or you will get a half-hour-speech of why the rest of the world was wrong all along. While carefully slipping in as much Scottish vocabulary as possible he guided me to his favorite hangout, the climbing center. Now I always thought I hated climbing, maybe because you can only break so many bones before you’ll eventually get tired of it (I was kind of a wild kid)... but possibly it was the right moment to get rid of a developed delusion that time had imprisoned in my head somehow. So I stepped out of my comfort zone and into the ropes, the only way is up! 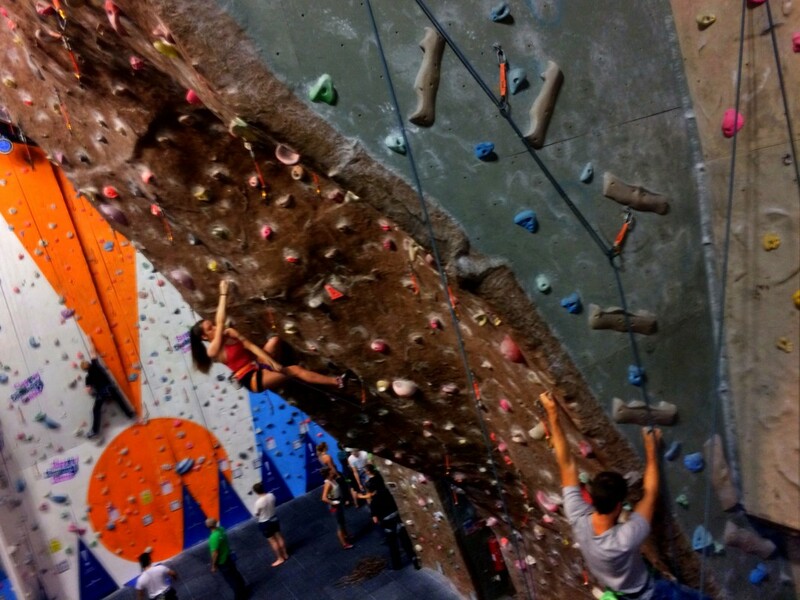 First kickboxing, then climbing, all in the mix with insane amounts of walking and hiking: Scotland is getting me fit! The next day my innercity trek kicked of rather cheerful: A stroll through Necropolis. Correct, ancient Greek for ‘city of the dead’. With a name like that you deserve a visit. Truth told, this REALLY is one of Glasgow’s hotspots! Or ehm, coldspots, corpses and stuff. You’ll feel like you ended up in some old school horror movie where the grave stones swing from left to right and zombies dig their way out of the earth to dance with poltergeists. 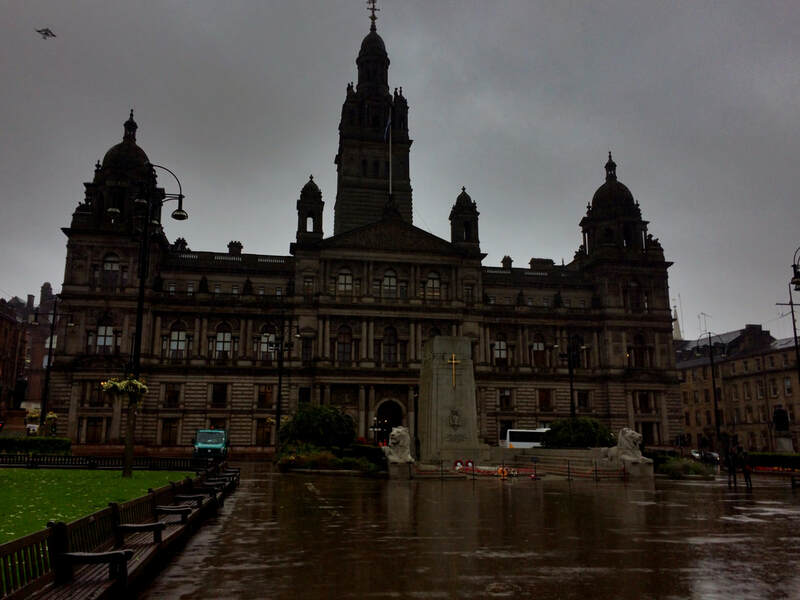 Plus, the sights over Scotland’s biggest city are incredible. When you’re there anyway, please do yourself a favor and enter the Cathedral situated right next to it, my favorite sight here so far. You can basically hear the hoof clatter of King Arthur approaching in this medieval time capsule. If the whole essence of Scotland could be captured in one building, the Cathedral is probably it. 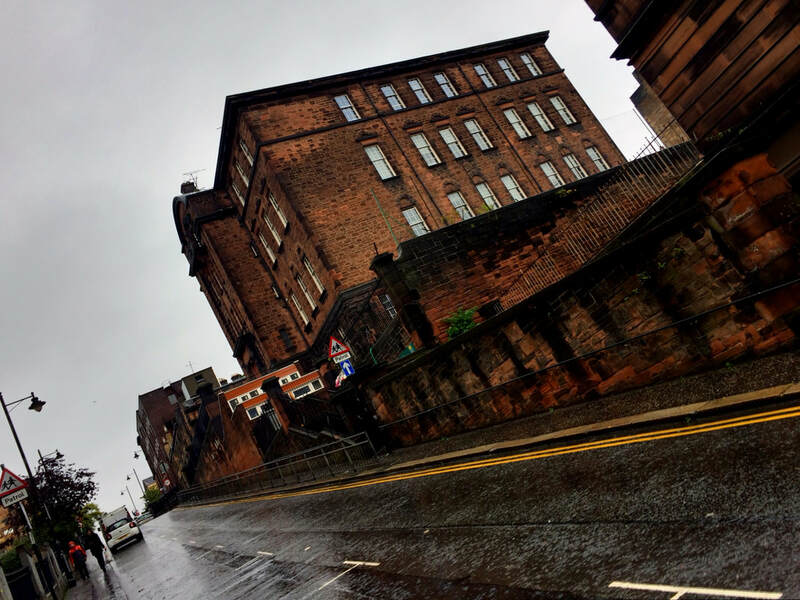 I started walking from east to west, cutting straight through the air pollution and traffic congestion marking downtown Glasgow, passing the endless brain-numbing office buildings which made me feel so free. As I kind of underestimated the distances in this rather huge city, the Kellingrove Art Gallery closed its doors right in my face. So instead I walked through the scenic Kellingrove Park to check out the University of Glasgow. 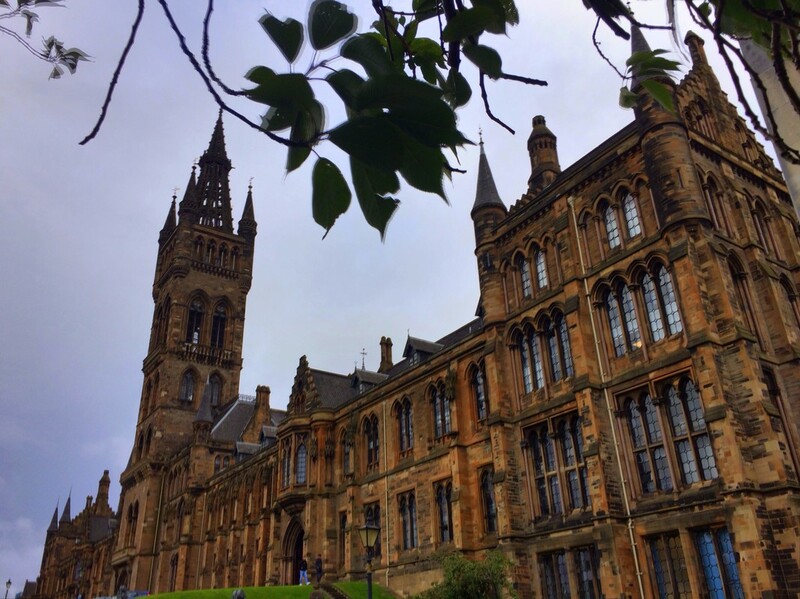 A building that reminds many folks of Harry Potter’s Hogwarts… and I perfectly understand why. To me, it almost looked like an exact copy. Especially when I entered the majestic gates and found myself on a lush green grass field right in the courtyard: I could totally imagine myself killing it on a broomstick during a sensational game of quidditch right then and there. I think I stood there for a while in the middle of the field living out my phantasy, until a brand new rainpour snapped my little bubble and I had to run to seek shelter. 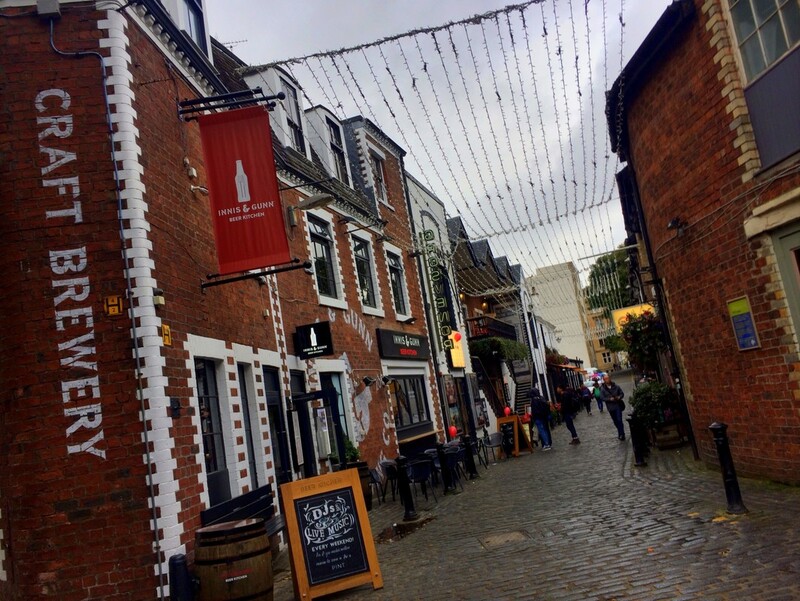 According to Philip’s recommendations I found my way to the traditional little bar street Ashton Lane. A place where time stood still, or where time was on purpose reversed and brushed up to present something authentic in the maze of modernity. From here beer church Brewdog is only a stone’s throw away, but I decided to sit down in the cozy Czech tea house Tchai Ovna, tucked away in a little alley with an entrance almost impossible for the eye to see. Apparently that day was my lucky day, as it was one big vegan fest in there, the whole menu celebrating raw and plant-based, eco-friendly flyers scattered around to call for environmental action and animal liberation. 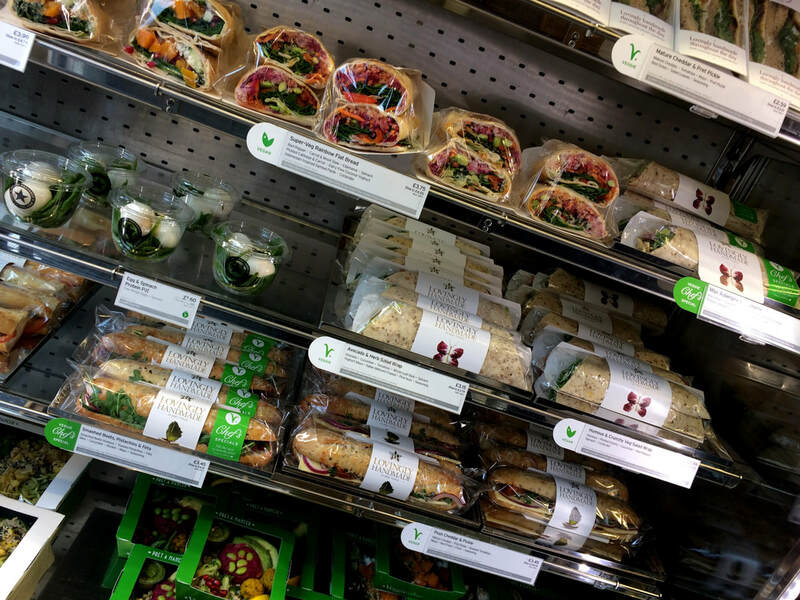 Vegan food is very common in the UK in general… this is just the ‘vegan sandwich section’ at a regular lunch take-out stop. I walked back those 1,5 hours to Philip’s house to catch dinner. My city trips usually entail non-stop walking from late AM to even later PM, as it allows you tot truly soak up the details and vibes of a city more than public transport ever could. And walking-wise my nation-loving host would pump it up a notch even the next day… You see, if Philip shouts “ei bon lassie, let’s go doon for a walk a wee while, aye” he in reality refers to half a marathon. We started walking around 10AM and at 9PM we were still walking, zero breaks. Fast, too. That’s even an attack on my firm hiker’s legs. 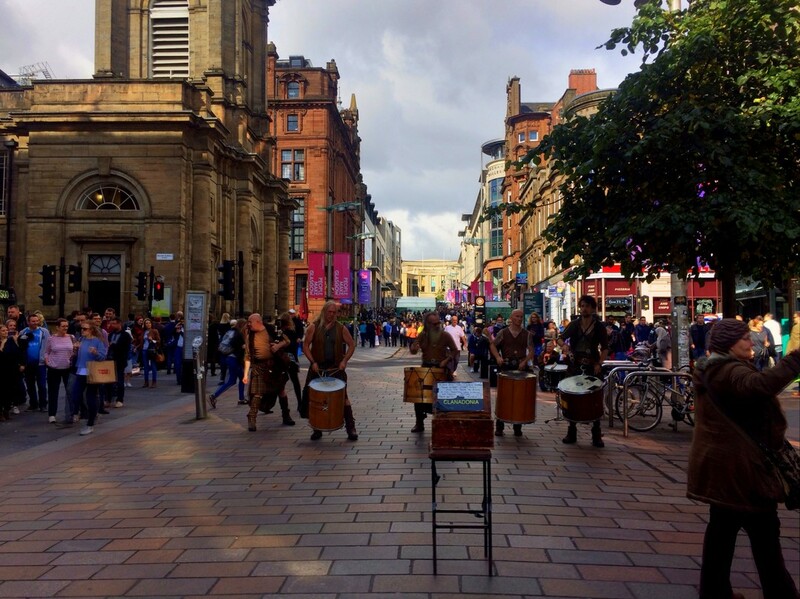 BUT it does allow you to see whatever you didn’t see from Glasgow the two prior days. Like the Mural Trail, you knew that’s a thing here? Some artists are rather epic with an airbrush here, so the city council decided to pump some tourism out of it. Appropriately so. The pieces this few-hours-trail led us passed are worth to be praised. With a Scot on the side you also learn about little hidden treasures like the Lighthouse what isn’t really a lighthouse, but provides free views nevertheless. Or the Waxy O’Connor bar, where elves and goblins go for a glass of nectar. Plus the People’s Palace, where the customs and habits of the Scots are described in great detail. Unneccesary with a guide like this, but what the hell, let’s add to it for that full-Glasgow-experience. Talking about the habits of the Scots… you know what this last thing is? A carriage to transport drunk people. 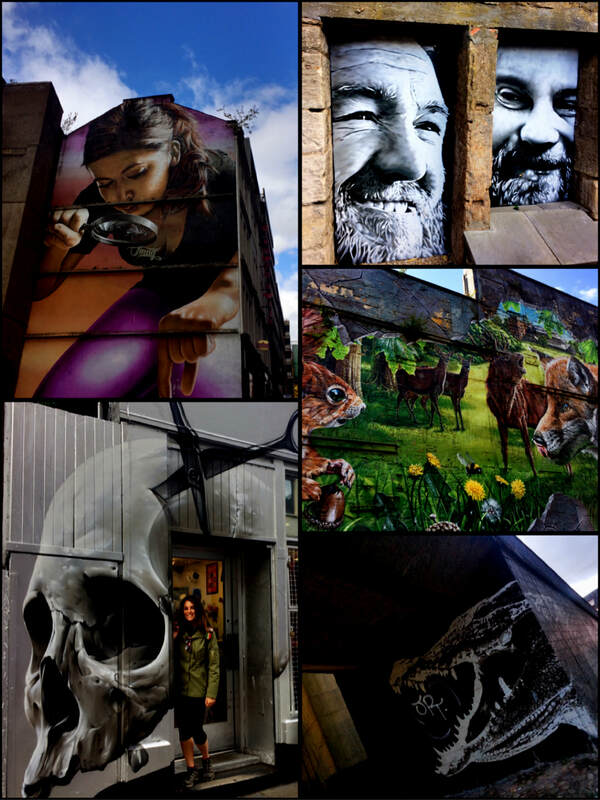 Glasgow. The city that slowly grew on me. But that was happily replaced with the prettier highlands nevertheless.